Ken Ota is CIO for Mitsui & Co. Pension Fund appointed in 2014. 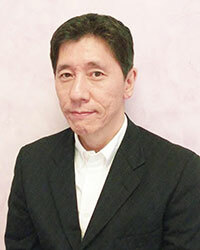 He joined Mitsui & Co. in 1987. He was the head of Trading Dept. with nearly 20 years’ experience of currency, fixed income, equity, and derivatives trading at Mitsui’s Tokyo HQ and London office. After that, he assumed the position of CFO for Mitsui & Co. Australia as well as Auditor for the several subsidiaries of Mitsui. Prior to joining Mitsui Pension Fund, he was the portfolio manager at the investment company affiliated with Mitsui.